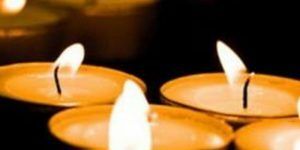 In this service of commemoration, we will light candles for those who have passed away in the past year and in previous years. The service will be led by sabbatical Minister Reverend Meret Engel and accompanied by organist Peter Yardley-Jones and followed by refreshments. The names of those you would like to remember can be handed to Meret before the service begins, or sent to her in advance via email (meret.engel@swisschurchlondon.org.uk). If you cannot attend, someone from the congregation will light a candle on your behalf.